Narrating Life: Spring is trying. Spring has had a difficult time gaining momentum in this part of the world. The forecast is usually sunny for one day, rainy for four, and snow in the morning just for kicks. I seem to be rapidly filling up my quota of "throw on a flannel shirt and don't leave the house" days. I keep thinking about how if we were back in the Seattle area I would be trying to learn to love the rain. Embracing cold drizzly days. Going to play outside in the rain like all of those crazy little Seattleite kids. But I don't live in Seattle. I live in Idaho. So I keep waiting for this to pass. 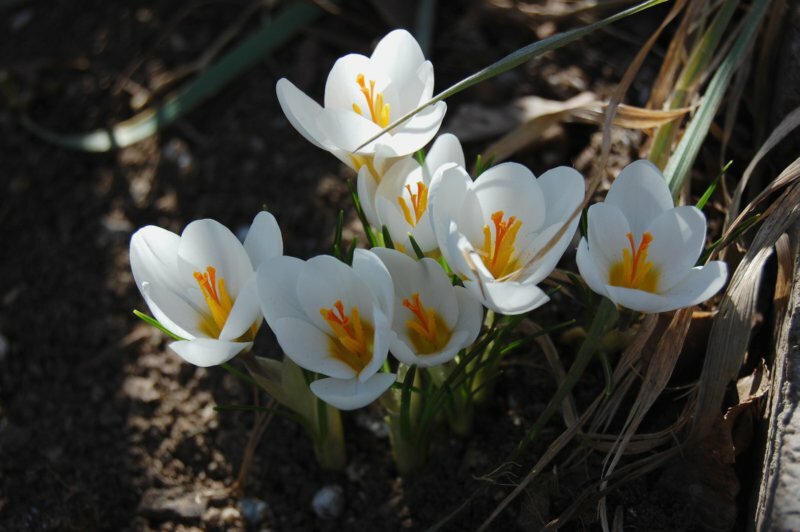 Despite the occasional snowfall, spring flowers have been popping up in front of my house! It gives me hope that spring is still trying to grace us with its presence. I want to thank the previous owners for the work they did to keep their house/yard beautiful. It also makes me excited to see what else will pop up in our yard as the season continues. I know there is a giant rose bush out back that needs pruned (I consider myself a pro based on my extensive rose experience) and grapes. Grapes! I don't know what kind. Concord? Something other than Concord? Honestly, it will do you no good asking me. Alls I want to know is whether or not I can make jelly with them. Except that I don't like grape jelly. So there you go. I'm crossing my fingers that there is a lilac bush back there and I'm pondering where it would be best to plant some rhubarb. That is, of course, if there isn't some out there already. You should try pickling them. Molly Wizenberg has a recipe for that in her book. 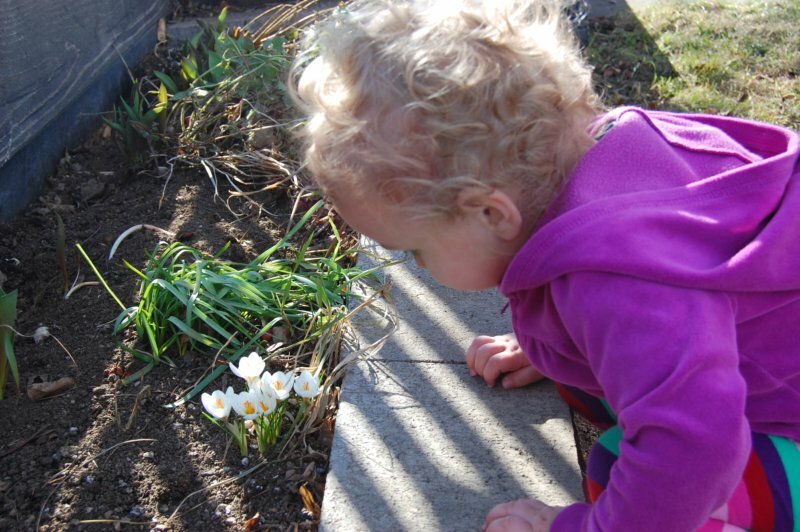 I loved the first 12 months of living in our house and discovering all the shoots and blooms through every season. It was magical revealing what lay under the earth, wondering what lay in wait through the year. I don't even know if spring tries in April in the NW. Today the sun actually came out, so I'll take it as some progress. Oh, the gray. I get giddy every time I see even a little bit of color. I'm yearning for some warmth here. I hope spring can break through in Idaho for you! Love that quote. Isn't that true. Although it would be a whole lot nicer if spring weather would accompany spring time. That quote is truly marvelous. Like Jess, I too was thoroughly charmed with the discoveries I made the first year we lived in our home. A lilac bush! A grapevine! Tulips and crocuses and hyacinths that I didn't plant but sprung forth unbidden! So fun.